Iran: Haven or prison for al Qaeda? The arrest of Osama bin Laden's son-in-law, who had been living in Iran for the past decade, has once again raised questions about whether the Iranian government is providing a haven or barrier to the terror group. Al Qaeda and its members held under "house arrest" in Iran over the past decade have had a complicated relationship with the Tehran regime, one which allowed the detainees to often times continue supporting the terror group's operations in the region. Current and former U.S. officials say al Qaeda in Iran managed to be fairly active in facilitating the movement of money and people into Pakistan where the core leadership has safe haven in tribal areas. "They helped move people in and out of FATA through Iran for operational reasons," one former senior counter-terrorism official told CNN. Last October, the U.S. government offered a $12 million reward for two Iranian based men who were described as al Qaeda financiers responsible for the movement of money and fighters in the region. According to the State Department, Muhsin al-Fadhli helped move operatives from Iran to destinations in Europe, North Africa and Syria, and used a network of jihadist donors to send money to Syria. His deputy, Adel Radi Saqr al-Wahabi al-Harbi, is said to have facilitated the travel of extremists through Iran to Iraq and Afghanistan. "We will continue targeting this crucial source of al Qaeda's funding and support, as well as highlight Iran's ongoing complicity in this network's operations," Treasury Undersecretary David Cohen said at the time. It's not that Iran and al Qaeda are close buddies. They are religious rivals with the vast majority of Iranians from the Shia sect of Islam while al Qaeda is a Sunni organization that has frequently targeted Shia communities and mosques. Their relationship has often been antagonistic – but they do share a deep hatred for the United States. Even with that, Iran has shown what the former counterterrorism official referred to as "some sensitivity" to U.S. concerns about al Qaeda's presence in the country, fearing an American response. The al Qaeda terrorists fled to Iran after the U.S. invasion of Afghanistan in 2001 and have been mostly held under "house arrest," closely monitored and limited in movement by Iranian authorities. How much leeway they are allowed depends on the current state of play. "The role of these guys seemed to go up and down, dependent on the broad state of U.S.-Iranian relations, the overall Sunni-Shia relations and even at times (it seemed) local decisions," a former senior intelligence official said. "Sometimes more active, sometimes less active, sometimes tightly controlled, sometimes less so." Current and former U.S. officials believe there are still a small number of high-level al Qaeda figures in Iran. Of greatest interest to Western intelligence agencies is Saif al-Adel, a top military commander thought to have been involved in planning the bomb attacks on the US embassies in east Africa in 1998 - and a close associate of bin Laden. Some sources in the region say he is thought to have made trips outside of Iran in recent years. There have been media reports suggesting Adel wants to return to his home country of Egypt, but the former U.S. counter-terrorism official said even with the new leadership in Egypt, Adel might want to think twice about going there. "Adel is a dangerous guy. He would not be accorded a warm welcome from Egypt and the U.S. would put a lot of pressure on Egypt," the former official said. Venturing outside the relative safety of Iran has shown to be to be risky. Osama bin Laden's son is believed to have left Iran in 2009 only to be killed shortly afterward in Pakistan. 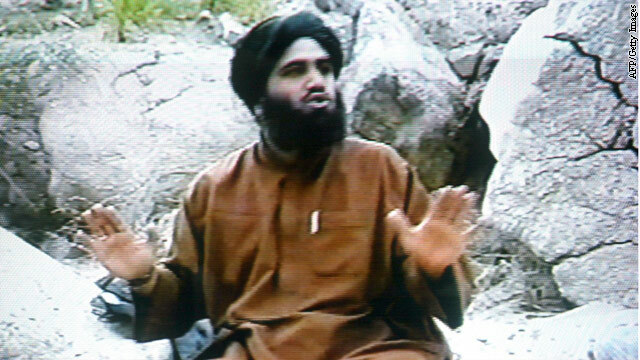 And now, bin Laden's son-in-law, Sulaiman Abu Ghaith, finds himself in U.S. custody. Prosecutors say Abu Ghaith conspired to kill Americans as part of al Qaeda, according to a federal indictment. Through his attorney, the Kuwaiti pleaded not guilty to the charges in a federal courtroom in New York on Friday, nearly a week after his arrest. After the attacks on New York and Washington in 2001, Abu Ghaith served as al Qaeda's official spokesman. Prosecutors said he provided a 22-page statement to U.S. authorities after his capture, but officials didn't characterize its contents. The former counterterrorism official said Abu Ghaith probably has plenty of information on al Qaeda in Iran, but doubts he has much knowledge of the overall organization. "Al Qaeda is very compartmentalized and (Abu) Ghaith is not an operational guy," the former official said. "He's a propagandist." CNN's Jamie Crawford and Tim Lister contributed to this report. Almost every mosque and Islamic school (maddrasah) is a haven for Al-Qaeda and any terrorists. Not enough Iranians understand what the world thinks of them. If they did, they would get change their leadership and become a participant in the world's future. Instead, they allow a few extremists to control their destiny. And that destiny will be destruction and pain. The Iranian government is composed of extremists that represent a small portion of the Iranian population. Many of the government officials are under the fiscal influence of the rich in the nation, and therefore bend to the wills of the rich and extreme. While this extremist government may not be actively helping Al Qaeda in their efforts to destroy everyone who isn't like them (how like the christian crusades) they certainly aren't doing anything to hinder them. That said, in this situation it is unfortunate that in this situation, if you are not part of the solution, you are part of the problem. Standing aside while members of Al Qaeda attack western nations and kill innocent people is only slightly better than aiding them. And the UN (NOT THE US) needs to further police the issue. How about when the zionist gov't, filled with extremists from top to bottom, who refuse to sign the NPT and have hundreds of nuclear weapons, kills thousands of innocent people in Lebanon, Gaza, etc. while being financed by the US taxpayer? And how about the US gov't which invaded Iraq and killed thousands of Iraqis all based on a pack of lies about WMD and relations between Saddam and al-Qaeda? Personally I'm sick of hypocritical, murderous and insane American and israeli policies which bring us nothing but trouble. The US and israel are the best possible recruiters for al-Qaeda. Wanna take on Iran for israel's benefit? Include me out. Which Zionist government are you talking about? It was JORDON, NOT IRAN STOP THE LIES!!!! Fareed Zakaria is saying what I have been saying regarding these Drones, and the policies that are, and might be put into place regarding the strikes, the affect they might be having on forgein policy we want to employ into the future with other nations. Question, other nations are developing this Drone plane, and if they claim that they have a right to protect themselves from others who they might claim are plotting to kill their nationals, and decide that based on the United Staes and the policy we have employed regarding strikes, and the killing of terroist, and a small amount of civilians, they might make the same decision and will be justified in any decisions they will make because of this program ........we might be starting a whole new way of killing thanks to America. We normally don`t think about these possabilities, but we ought to ! Iran is a natural ally? The current Iranian regime took over our embassy and humiliated the United States for 444 days, was complicit in the Hezbollah attacks on our marine barracks and embassy in Lebanon which killed over 300 Americans, the Khobar Towers bombing is Saudi Arabia which killed another 19 Americans, have funded and armed insurgents in Iraq and Afghanistan who have killed hundreds of American soldiers, have traded nuclear secrets with North Korea and forged an alliance of convenience Al-Qaeda. The Khobar Towers bombing, in hindsight, appears to have been the work of Al Qaeda and not Iranian agents or proxies. Former FBI director Louis Freeh declared himself special agent in charge of the investigation and worked with Bandar bin Sultan of Saudi Arabia on the investigation. Years later, Louis Freeh became Bandar's legal representative. Interesting also that Freeh became a citizen of Italy in 2009.
this is not an ideological battle between left vs right, GOP vs Dems, Statism vs liberty, socialism vs free markets. This is ethnic warfare against white people. Why are hostile globalist elite supporting Israel as a Jewish ethnostate with Jewish only immigration, but turning white majority Europe, North America into a multi-ethnic multi-cultural Gulag with dystopian non-White colonization? Why do gullible Whites kowtow to hostile Jewish elite, who maim White soldiers in bankrupting wars, infiltrate and subvert our central banks and intelligence agencies, indoctrinate us in classrooms and mass media, impose trillions in debt, and plunder our wages? East Asia is 99% yellow. Africa is 99% Black. West Asia is 99% Brown. But 3rd world colonizers are annihilating Whites, just as Chinese colonizers are annihilating Tibet. This is the endgame. "Native" Americans are not native. They invaded from East Asia. Whites were not the only slave owners, imperialists. Muslims, Jews, China, India, Mayans, Africans all are guilty of slavery, imperialism. Whites were victims of Arab, Jewish, Turk, African, Mongol imperialism, slavery. Gullible Whites should reject suicidal anti-White Jewish ideologies like libertarianism, feminism, liberalism, socialism. White people should reject venomous smears of racism, collectivism. Iran need not get too cozy with Al Q – since they are Shia – they're next! It is time we stopped a regime that developed and used weapons of mass destruction, that harbored and supported terrorists, committed outrageous human rights abuses, and defied the just demands of the United Nations and the world. Oh, wait, that was the exact wording used to justify war against Saddam Hussein in Iraq. Never mind. Or you could be referring to the zionist state in Palestine. Here is your lesson for today. Type these words: "Israel is a real, established country." And these: "There is a statute of limitations on 'crimes' that happened so many years ago. Israel is now established as a country. It is too late to reverse it and the Arabs need to like it. The Arabs need to stop roping in their Muslim tributary states into an ethnic conflict." Yes, they used the same lines to manipulate the public into accepting iraq war. Very good article. Thank you. We have known that some of the 9/11 hijackers went through Iran to Afghanistan pre-9/11. We know that the Islamic Republic set up training camps and harbored Al Qaeda post-9/11. There are ties between the occupying regime in Iran and Al Qaeda that needs to be more fully investigated. Very important article. As an Iranian, I thank the author. Yellowcake uranium!! Nerve gas!! WMD!! Links to al-Qaida!! He tried to kill my Daddy!! Do you really think we're going to fall for this again? You can stay ignorant at your peril. But as the polls show, the vast majority of Americans (99% according to the latest Gallup poll) understand that the Islamic Republic is a threat to U.S. national security. You ignoramuses have loud voices on the internet, but represent no more than 1% of the population. This is a regime that has been responsible for the deaths of more Americans than even Al Qaeda. Sure there is a connection between Iran and al-Qaeda, just like the one between Iraq and al-Qaeda, a lie that cost us $2 trillion and 5000 Americans killed. The same folks that cooked up the invasion of Iraq are trying to do the same with Iran, again for israel's benefit. The hallmark of an ignoramus: blame Israel for everything. It was Israel and Israeli leadership warning us against the Iraq war instead to focus on the Islamic Republic occupying regime in Iran. This is a fact. But yes, it is "all Israel". I'll listen to your yap-yap about the zionist enterprise and Iran just as soon as israel joins the NPT. How come Palestine's invaders and occupiers get to complain about Iranian violations of the NPT when they are not even members? "You no play-a the game, you no make-a the rules." Why you like to lick Israels foot? What you gain by that? I thought said once you are an atheist. How on earth an atheist can be slave of "PEOPLE of THE GOD" ? Being atheist is what makes me a pro-Israeli Iranian. Israel is a democratic and secular country that respects the rights of their citizens including women, gays, atheists etc. In fact, 15-30% of Israelis are atheist Jews with over 60% of Israelis self-identifying as secular Jews. In fact, the founders of Israel Theodor Herzl and Chaim Weizmann were non-believers. Israel for most Israelis is about a people with a shared history. I have a great number of Israeli atheists as friends and I appreciate the fact that Israel has blossomed a desert into a fruitful and productive country. Do try to educate yourself Amir joon. Your statement that "israel is a secular country" is absurd. If you are a Jewish israeli, try contracting a civil marriage; if you are a Christian or Muslim, try renting an apartment in a Jewish neighborhood; if you are a Palestinian coming to work in israel, try getting on a Jews only bus. In America we celebrate Rosa Parks; in the zionist enterprise, separation by religion is being enforced. What you call a democracy is an Apartheid. stupid CNN delete my comment so I don't type it again but just go read about "law of return"
@Amir: Focus on freeing Iran. Why do you care about Palestinians who care nothing for Iranians but rather support the sav age Mullahs? Apartheid is nonsense term used by anti-Semites. Israel has not only the right but the duty to protect itself from terrorists/suicide bombers. Palestinians have had plenty of chances for their own state. They are responsible for the failure to come up with peace. They even had the chance to have East Jerusalem. I may not like Netanyhu too much but I support Israel as a democratic and sovereign state 100%. Sometimes tu quoque is helpful to understanding the topic at hand. There is no third option between Israel v. Palestine so it is okay to say "Israel is relatively better than Palestine in LGBT rights" or "Palestine does this too"
Al Qaeda is aganist Iran, they have always stated that Iran is their enemy. Don't we also know that some of the alleged 911 hijackers spent time before 911 at U.S. military bases? Have we not come far enough in the past month, to show that the belief in a common, positive goal is possible to unite the powers of the world, now? Russia, Cuba, USA, Iran, India, Belarus, Turkey, etc... all did this, in IRAN. All were assembled under one roof, in protesting the removal of wrestling by the International Olympic Committee on February 13th. This was the World Cup. All stood hand in hand, together, united against tyranny & malicious intent. Without any pause, an entire coliseum of the people of Iran rose up and cheered US Wrestler Jordan Burroughs as he walked INTO the tournament as he did at the 2012 Olympics, and walked out of both, with Gold. What was the first thing he did after the Olympic ceremony was over? He stepped down, wrapped his arms around the Iranian wrestler and the 3rd & 4th place wrestlers. This made me incredibly proud to be a US Athlete & mother. When you are an athlete that competes at this level, your foes are your friends. You learn from them, and they from you. There is so much to share, and athletes understand this. This was an event unmatched in access to the entire world. Despite the old rhetoric of who-said-what... it was an opportunity for the world to continue in this spirit of brotherhood and extend the possibility communication, dialogue that is so called for, but never seems to "get there". This was the overt ability to focus on something as important as sport, and let it open up the eyes of all countries to what is important... life, and the ability to live wherever you are, in peace, in prosperity. I hope the world, and my country are taking notes. Find the commonality, then work to achieve the impossible. The first step is to want peace. Reading this article is a waste of time, but reading the comments should be a learning experience for the author. U.S.A. makes a big effort to catch muslim terrorist but turns around and lets muslem immigrants into its country ? kind of beats the purpose of catching them. stupid american tax payers put up with liberal politician horsesh!t, when will they learn and take charge over liberals ?
" U.S.A. makes a big effort to catch muslim terrorist but turns around and lets muslem immigrants into its country "
Obama tells 60,000 US Customs agents you are off work cut. I heard he was hiding in Turkey not Iran. It doesn't make sense that a Shia nation like Iran would be helping the same kind of Sunni fanatics who regularly kill Shiites in Iraq and Pakistan and are actively trying to topple Assad (especially given Iran's Shia Lebanese proxy Hezbollah is fighting with Assad against the FSA and their Sunni Islamist branch known as Al Nusra). This seems like clear US government propaganda trying to build a case for future military strikes against Iran, not unlike the false premises they and their friends in the American media conjured up before the bombing and invasion of Iraq in 2003. I don't believe a bit of it. The enemy of my enemy is my friend.... Comrade. WW2 ring a bell? Not really true in this case. Al Qaeda has been targeting Iranian interests all over the place, from Afghanistan,Iraq and now Syria. The Sunni Islamists are far from friends of the Iranians. Every time you turn around nowadays Al Qaeda type Sunni fanatics are butchering Shia Muslims all over the world and such groups are at war with the Iranian government in Southeastern Iran. If anything it is the West providing aid and other support for Al Qaeda type groups (as they are in Syria and have in Libya against Ghaddafi) against Iran and not the other way around. Almost whenever you pick up a paper the Sunni fanatics have set off another bomb in Karbala or elsewhere murdering Shia Muslims. What a load of sh**. One thing Iran can be accused of is helping Al Qaeda! Pam, I bet you pulled this information out of your hole, you who*re. People like you are a disgrace to the human race. Taliban killed iranian diplomats in 1998.Iran was going to invade Afghanistan as it deployed 200000 troops but our dear country prevented them.3 years later we attacked there.why Iran should help them as they are historical enemies. What a waste of time. This is one stupid article! It's amazing what baloney gets published on CNN. Those who contributed to this piece... Please go travel, talk to people, read and understand the political landscape, and do some homework before writing such false crap. Hey Kim, I bet you did not know OBL's relatives have been living in one of Shah's palaces forthe past 12 yrs . Kim, Mark Twain said it best" It is best to keep your mouth shut and appear stupid than open it and remove all doubts. The author has clearly NO idea or knowledge of Iran. This whole article is such BS with complete fabrication. Pam Benson, you're an idiot! Sam, you are right. This is article is even more stupid than the rubbish we usually read in the msm about the Middle East, and that is quite an accomplishment! I suposse this is enough for you to support a war to destroy another country, and kill thousands of people using assasin companies like blackwater. Americans you have to understand that you dont have the right to kill the people through all the world. How about we make Iran a safe haven for terrorists by building terrorist training camps, provide food and lodging, and an early start on their dream of 72 virgin girlfriends. After a couple years of developing a false security, we just nuke the whole country and turn it into the biggest skateboard park in the world. Just think about thousands of square miles of melted sand – AWESOME. This thread does not have the huevos to post this. we aren't doing this in Syria? What i think is that you see a lot of movies about the apocalipsis, or movies like Argo you have to realize that if your country seed love and peace will receive love and peace and this is not a hippie idea is a real idea, or just tell me if is somebody interest to atack Canada or Sweden you know why is because this countries work for the world developlemnt not just to create rich people based on depredate territories. If There is many people thorugh the world that hate the Americans is because when you forces go to any place just destroy all and kill thousands of inocent people and create large amount of infertil territories with the plutonium of your weapons and the contamination of your factories. You mean John Hagee and Pat Robertson? Iran is following the old proverb, the enemy of my enemy is my friend. Your proverb has been modified somewhat for the benefit of israel's friends in the US: "The enemies of israel are our enemies." The modification was obtained by the zionist purchase of the US Congress. I just don't understand why we haven't destroyed those facilities yet. NOT start a war....NOT embed ground troops....just warn them an hour before we arrive, so personnel can be evacuated, then turn that nuclear site into a pile of smoldering rubble. What are they waiting for????? Iran's nuclear program is literally under a mountain and very difficult to blow up. American intelligence agencies state clearly that Iran is not seeking nuclear weapons. Israel's friends in the US are beating the drums for war in Iran just like they did for Iraq. Want to repeat the exercise for israel's benefit? I don't. That is why ......Canada cuts all ties with IRAN, Canada tells the world ...."Iran is a state sponsor of terrorism." Canada gave them five days to leave Canada or go to Jail. Some are so Mentally Blind they can only see what they want. You can tell all that have read the Bible, from the lost. All that come to know are Lord seek the truth not what sounds good to them. If smart enough all should read the bible, not from the puppet master the devil. Paul ... are you sick ? Canada never reject pepeole from other nation and they never said such a thing about iran. please stop yapping looser lies. Canada friend of all , Ennemi of none. This is a silly article written by someone who is un-educated on the middle-east. The Al-Queda is "Sunni" based sect of Islam, Iran is "shiite" based sect of Islam. You will never catch Sunnis and Shias together. It's that simple. The Sunnis and Shias almost hate each other more than they do the jews. My detested enemy and your same detested enemy makes our enemy relationship less bothersome. I said 10 years ago that Iran was harboring Al Queda in the name of muslim unity. They have been deadly enemies since 100 years after Islam started. Each one believes that the other is the anti-christ or the devil. Some of us remember when the neo-cons tried the same thing with Iraq. You probably bought that too. Even Israel admitted last week that Iran gave up on the nuke idea back in 2003, so you armchair know it alls crack me up. I don't think that anyone would deny that the USSR sponsored some nasty folks back in their day and they had thousands of nuclear weapons. Your panic over Iran is bizarre! That exact point was made in the article. In fact, the complexity of the relationship was the PRIMARY point of the article. Thats true they enemies but sometimes they work together,just like in Iraq together they were fighting Americans. The reason Al Qaeda and Iran will never be allies is simply because they are regional rivals. And, it would destroy the last drop of legitimacy the Iranian government has left. People keep on running this whole Sunni vs Shia idea, which gives a sense of legitimacy to rivalries that are simply political. Sunni (Saudis) Al Qaeda are natural enemies of Shiite (Iranian) Hezbollah, so there is no love affair between them, see what is going on in Pakistan and Syria !!! Iranian nukes are bigger threats to Saudi Arabs than Israel. Don't you remember what Saudis told U.S. on Iran "Cut off head of snake" !!! Sorry CNN with your garbage propaganda as usual,Libya and Syria is HEAVEN FOR AL,QAEDA. This whole article and claim that Iran is aiding Al Qaeda is a BIG LIE. Remember saddam was aiding Al Qaeda and had WMD too.. I have been through some of the comments and I am appalled to what lengths some go through to make disparaging remarks about what they describe as infidels i the West..I always thought that comments should be polite tantamount to a debate,but alas, it does not seem to be so. Hey AM – have you ever seen a polite terrorist? If you live in the USA, please go home – we are tired of your threats, bombing, treatment of women, and ignorance. I surmise that if he be found guilty,death penalty would be the result, unless it does not exist in New York. A drone attack would resolve the problem instead of due process should he be classed as an enemy combatant. Lol what a bunch of nonsense! "writer" doesn't have any clue about Al Qaeda enmity towards Iran! How is he allowed to write article for CNN?! seemingly any idiot can be allowed to publish his/her worthless opinion here? Please , refrain from any dispairaging remarks on Islam . Allah's will be done , the Infidel West shall se the glory and wisdom of the Religeon of Peace ™ soon . The world is Allah's , and Allah's alone . YOUR A MORON!!! ... religon of peace is a joke. The only answer to you and your BS is a B2. Mohamed probley liked little boys and ate bacon. I say we save money in bombs and drop pigs on these war monger morons. See if they get to paradise covered in pig blood. Well that was truly an ugly comment. The pharmacy called, your meds are ready. Please get down there asap. Thank-you for your thoughtful comment. You could be a politician from Oklahoma or Texas or an Evangelical preacher. We don't want your religion. We don't need you're religion. It just mystifies me how some religious sects can't get it through their thick skulls that religion is a personal choice, not one to be imposed. I would never submit to any religion's propaganda and myths. And most Westerners are as stubborn about that whole "freedom of religion" thing as I am. So Allah can just go sit quietly in a corner. If we need him, we'll approach "him" on our own, thank you very much. At first I thought you were talking about Mit Romney. YAWN. Come up with new material. That is so old and ridiculous. Ooooo evil Capitalists, ooo bad bad bad yeah Communism is SO much better. GOD WILL NOT HELP THEM THE WICKED JUDGMENT DAY We need Leaders that put GOD then Family then Country in that order for with out GOD and Family NONE will have A Country. Mislead Middle Easterners have threatened to kill and take measures against Christians sounds like bullying bad boys. That their Mother and Father never showed them right from wrong. All the good on Earth want peace Not War. If you cannot have your way you are going to hurt someone this sounds like a mad men to most of the world. If someone really cares for them, give them a Bible with red letter print. That is a red letter edition words that were spoken by are Lord and Savior Jesus Christ. With a Pray for them the LOST maybe they will be saved, and not go to hell. wicked for carrying a Bible. They have burned the Bible in public many times they have cut off the head of anyone carrying one many a times. They have bombed many a Christian Church, Killing many. The Persecution of Christians in the Middle East has gone on for over two thousand years. The Leaders of many Christian groups have criticizes Muslim leaders and Leaders of governments for failing to intervene after series of deadly attacks on Christians and their Churches in many countries around the World, each Christmas. and on and has for many years now. Have you for got so easy many American's like Paul Marshall Johnson, Jr. that was kidnapped and then beheaded in Saudi Arabia in 2004. While thousands gathered and prayed for the wicked to let him go, Till all heard the sound coming from THE PATRIOTIC TRUMPET PLAYER, Monica D. Key Lindbergh playing taps. The World wants Peace not more wars. Many wicked Leaders have deliberately deceived many that are LOST. If you think the wicked want peace read this then go look at some of their web sites! them and kill them to the last one, and don't leave even one." peace and ask for WAR. Persecution of Christians World Wide. "illegal state and a "parasite,"
said "Israel was within the reach of Iranian missiles". IRGC is listed by the U.S. Government and our CIA as a terrorist organization. that targeted many opponents, and rigged elections. "cancerous tumor" that should be removed from the region. "Act Of War" against Israel. not capable of an attack". and will never ever recognize it. our revolution and our people." "the destruction of Israel was assured" According to the daily newspaper Teheran Times. Another "Act Of War" against Israel. said "that if Israel attacked Iran it would be destroyed within a week"
Another "Act Of War" against them. Wicked Deeds and acts. All the Big Bankers of the World can see this. Iran. That the World knows about. Another Clear "Act Of War" against Israel. Embassies in Washington, DC and Buenos Aires). An "Act Of War" against them. Can you carry a Bible in Iran without them trying to kill you. Devil at war with GOD. Israel Will Strike Iran, British Intelligence is now saying. the Middle East more unstable. term before succeeding Colin Powell to become Secretary of State in his second term. Guide and Watch over us. Help the World and be the disciples of our Lord's Word. Further diligence is required stay on your guard and watch. The LORD will come soon enough. The Governments and people of all Nations need to read. IRAN ... The World is going to Renewable Energy with all the SUNLIGHT we get SOLAR Energy would be very easy to do hear. Do you think the rest of the world will see what we are really doing building more Reactors then we could ever use in a country this size? But we need the electric power to Enrich Uranium to make Many Atomic Nuclear Weapons, to bring the world to a Hellish Place. Earthquakes are increasing every year and could cause us the bad mishap or a catastrophic failure 97 million Iranians could die. Just keep this out of the NEWS. We only need to play Cat and Mouse a little Longer and on one will be able to stop us. What about GOD? None of those were "Acts of War". An act of war would be a military threat, or a military attack, both of which you are promoting against Iran, based on the lie that Iran has already made an "act of war" against Israel by refusing to recognize its right to exist. What we need is for organized religion to just disappear. We'd all be a lot better off. Religion has been the cause of so many deaths and atrocities worldwide... Muslims, Christians- doesn't matter, They both have blood on their hands. Trying to figure out who has the most blood is pointless. We need to talk about TODAY and what kind of future we are leaving for unborn generations.. I don't agree with the concept of organized religion, but I do believe in freedom of religion. That is what we need to be making sure we leave our children. FREEDOM. what if, out of fear, Man created god in his own image. "play cat and mouse a little longer" You mean a tactic like israel's continuous claims it is willing to make peace with the Palestinians while at the same time putting more and more illegal squatters in occupied east Jerusalem and on the West Bank thus making a peace deal impossible? What about God? Have the zionists forgotten the Commandment against theft? Hang'em high! The Evil on this awesome planet don't deserve anything. You mean Bush, Cheney, McCain and Rummy?